Your logo, product pictures, references, etc. are displayed to keep the customer within your brand experience. Your customer identifies the products they want to return, chooses a reason, select the return service, and it’s done! ShopRunBack takes care of the checkout process. No billing for you when the customer has to pay for their return. 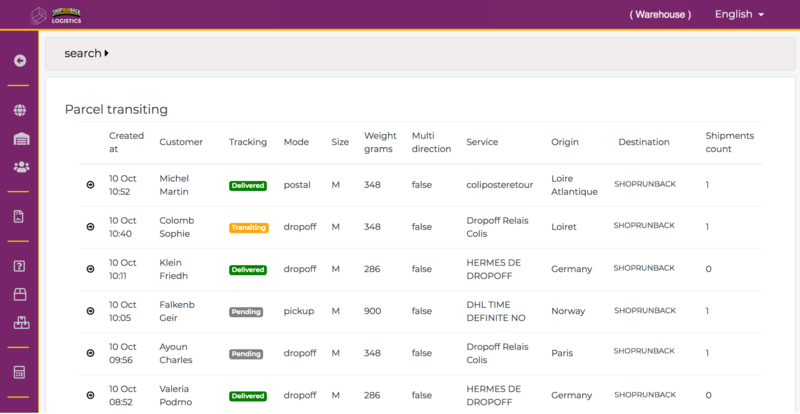 Your customer is guided to prepare their parcel and could track the return to reduce the impact on your customer service. 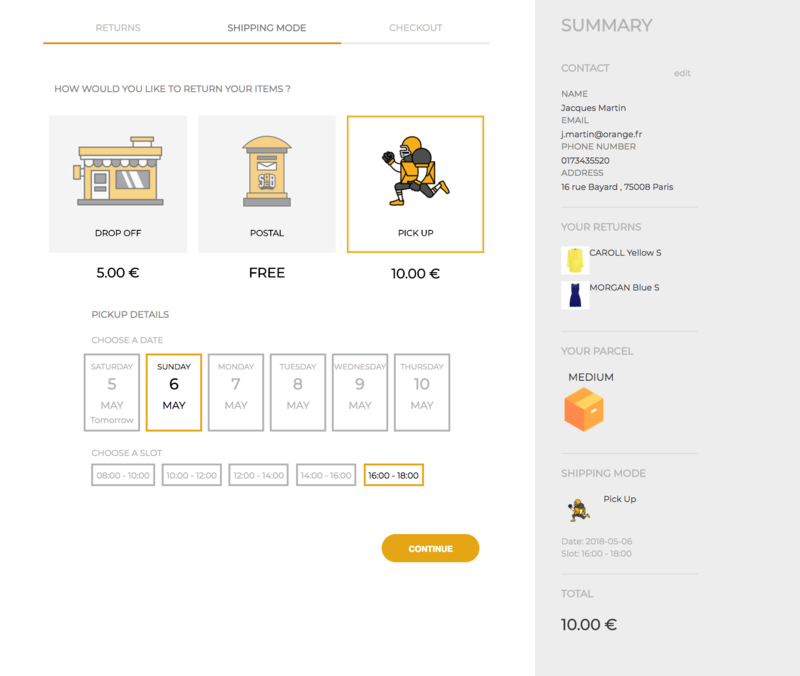 The easy-return process displays your customer’s full order (products, ref, address, etc.) and provides a choice of local carriers. If the selected service is premium or your policy requests a paying return, your customer may directly pay online. Your consumer prints their label & returns documents and gets all the information he needed to process it. Your customer drops off the parcel according to the chosen method or waits for a pick-up at the desired time. Both you and your customers will receive tracking in order to improve your return experience and reduce the impact on your customer service. 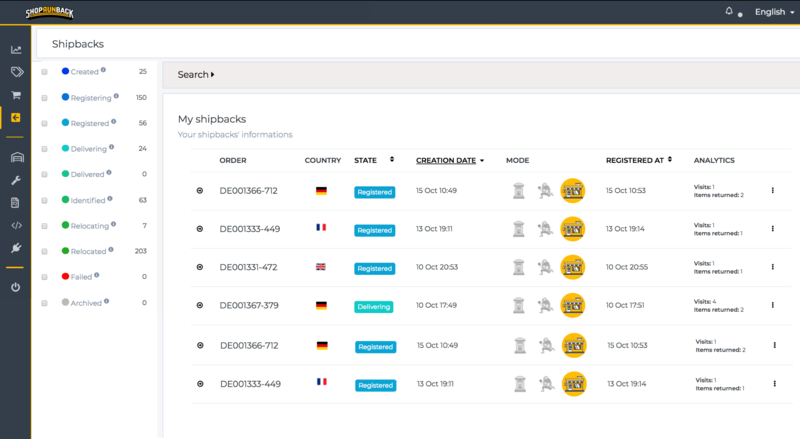 Manage your returns and track them from your customer to your warehouses. Provide a returns management software system for your team or 3rd party provider, directly available online or on a mobile device. Decide where you want your products to be relocated according to the criteria of your choice. Consolidated returns may be relocated to repairs centers, resellers or straight back to DC according to their condition. Our essential checks allow you to ensure that the customer has returned the correct product and receive confirmation within a very short timeframe in order to reimburse them as quickly as possible. Set-up your own quality control rules through your administrator access to define the three point quality checks to be carried out on your products. Upload photos to ensure the same level of service no matter where the return is processed.